Enhanced - $99.00 All items listed in Basic plus.. 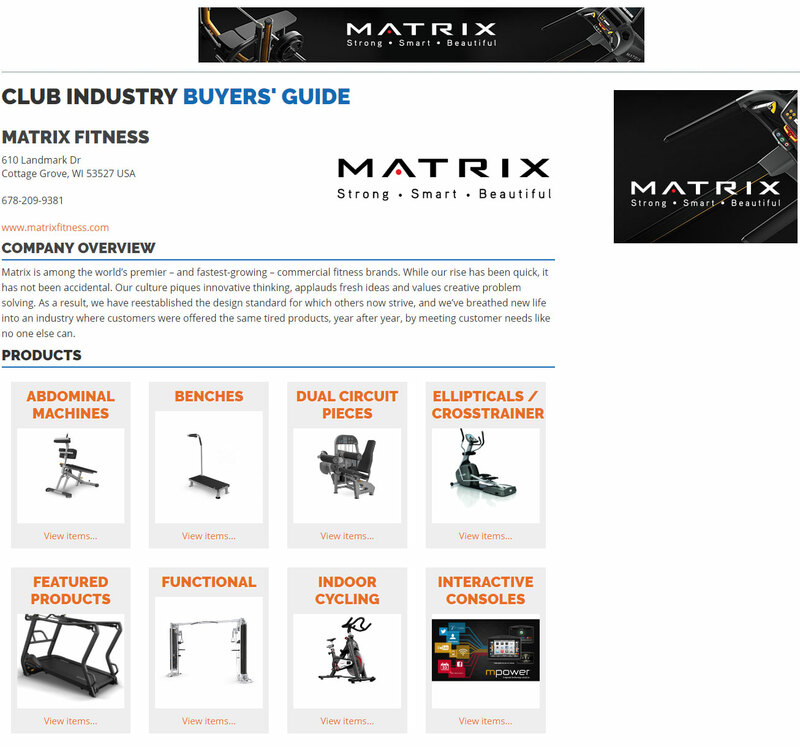 Premium - $999.00 All items listed in Basic & Enhanced plus..
FOR LISTING: You must complete the information below to be included in the Online Buyers' Guide. Please correct your Web Site. Please correct your Toll Free Phone (if different). Please correct your Sales Contact Name. CONTACT INFORMATION: Complete all information below. This is NOT for your online listing. * Your fax number is used to communicate to you. By providing your fax number, you are giving written permission to receive listing and other related information from Club Industry that may be of interest to you by fax. We will not share this information or use it for any other purpose. You may opt out of receiving faxes form us at any time in the future. Required for sending future listing information. Yes! I would like to receive the OFFICIAL news source of Club Industry, Every week, newsbeat will come to your inbox with the latest news about fitness facilities in every market. Two monthly "special editions", Resourcebeat & Trendbeat are also included, which focus on hot industry topics and club operation. Platinum members receive UNLIMITED categories. Logos: Company Page logos will display at 250 pixels x 250 pixels, Search Results and Feature Company logos will display at 120 pixels x 40 pixels. For best quality, logos should be submitted as JPEG, GIF, or PNG, File size should not exceed 15k. Photos: Photos sill display as clickable thumbnails at 100 pixels x67 pixels. The maximum number of images to display is 4. For best quality, images should be submitted as JPEG, GIF, or PNG with the maximum file size of 3 MB. Video Files: Video files should be a maximum file size of 75 MB. Acceptable formats are Windows, Quicktime, Flash and MP's. Audio Files: Audio files should have a maximum files size of 35 MB.